I am submitting these comments as an individual, not as a part of any group or organization. I am a composer and conductor. The positions I have stated in this letter are, in my opinion, consistent with (and a natural extension of) the address Professor Jane Ginsburg gave at the Copyright Office on April 18, 2016 as a part of the Public Symposium on these issues, and with her companion publication in the George Mason Journal of International Commercial Law. Moral Rights of Attribution and Integrity are under attack and abused by certain companies like YouTube. The question of whether US laws adequately protect the moral rights of artists and copyright owners is an issue that is very much unsettled. Thus, I appreciate the opportunity to comment. In these comments, I state my position that if existing US Copyright laws are enforced in a reasonable way, those laws would go a long way toward protecting the moral rights of artists such as myself. 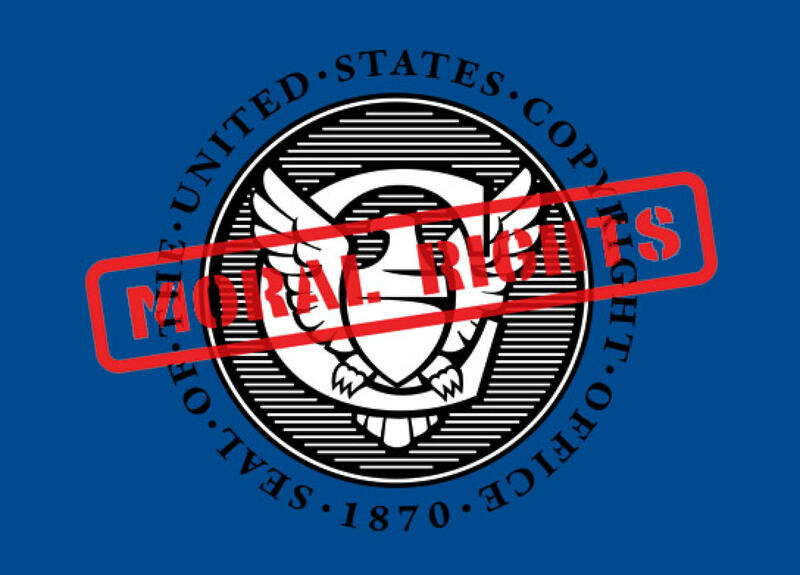 I believe the Copyright Office has an opportunity to issue a report providing guidance that lawmakers, judges and the general public can rely upon in shaping decisions and policies so that our moral rights are no longer abused. YouTube is intentionally stripping off creators’ metadata that includes our moral rights of attribution and integrity. YouTube is a business premised upon billions of users uploading digital music files and distributing them internationally via digital streaming for free. YouTube makes billions of dollars in revenue from advertisements served to users who listen to the free uploaded music. From the standpoint of a user, it must all seem too good to be true. Many people do ask about YouTube, “How can that be legal?” And in fact, it isn’t, as I describe here. Below, I describe how YouTube has essentially distributed and published virtually all of the music in the entire world, using a business model and technology platform that systematically strips away valuable metadata identifying us as creators, identifying our legal rights to our works, and thereby eliminating the ability of third parties to respect, or identify and potentially pay us for the use of those works. YouTube is herding music and musicians into its platform, stripping away our identities, and then rebranding our works with the hot iron of its own system. A. All MP3 files have standard copyright information attached as embedded metadata. When I create an MP3 file with my music on it, it is a digital file that contains certain specific information. By ISO standard, those files always include specific information about who owns the copyright, the date of the copyright, etc. That sort of information is the exact sort of “attribution” information that is covered by moral rights. (4) [ . . . ] the name of, and other identifying information about, a performer whose performance is fixed in a work other than an audiovisual work. (5) [ . . . ] the name of, and other identifying information about, a writer, performer, or director who is credited in the audiovisual work. I’ll just abbreviate “copyright management information” here as “CMI.” Every MP3 file has this sort of CMI information embedded in the file, in the same place, in the same way, per certain standard technical measures and standards. In fact, MP3 files are defined by standard technical measures that are the result of broad industry consensus. For instance, most MP3 files have specific “metadata containers” called ID3v1 or ID3v2 tags. These standardized containers are well known to contain the CMI, and are an integral part of any digital music file. YouTube knows this well. Those metadata files represent the moral rights of musicians like me. B. YouTube Strips that Copyright Information right off of our files. However, when a YouTube user uploads an MP3 file onto YouTube, that metadata gets stripped away, thereby discarding my moral rights in the CMI. When a YouTube user wishes to upload an MP3, he/she must first “convert” it into a MOV file. So by definition, the CMI that I embed within my MP3 files already gets mangled and/or deleted just by converting it into an MOV. Of course, as we all know, the vast majority of music uploaded onto YouTube are not “videos” at all, but just audio tracks with a still image “video” showing the album art or CD cover. Users don’t sit and stare at the cover art as some sort of minimalist movie. They go about their lives, enjoying just the music, and YouTube thus competes with iTunes and other platforms that actually pay those who create that music. Going back to the issue of converting of an MP3 to a MOV, even if I manually add CMI metadata to the MOV video file (e.g., copyright information) before I upload it to YouTube, when the video is then downloaded from googlevideo.com (the official place where YouTube videos are stored), the added CMI metadata isn't there anymore – it has been somehow stripped away by the YouTube and/or Google platforms. Bottom line: even if I take the extra steps to ensure the CMI is still embedded in the MOV video file before it gets into YouTube’s hands (which obviously should not be required), YouTube itself is again obliterating that CMI, and in the process, is violating my moral rights. So what does this have to do with section 1202? C. YouTube’s Intentional Stripping of CMI Metadata is Illegal. (3) distribute, import for distribution, or publicly perform works, copies of works, or phonorecords, knowing that CMI has been removed or altered without authority of the copyright owner or the law, knowing, or, with respect to civil remedies under section 1203, having reasonable grounds to know, that it will induce, enable, facilitate, or conceal an infringement of any right under this title. Of course, nobody has the guts or the clout to sue YouTube. Even billionaire Sumner Redstone and his company Viacom figured that out after slugging it out with YouTube for four years. Although there has been no court case involving MP3 files, this all seems crystal clear to me: musicians like me fully expect that CMI is included about copyright (including authorship and other rights of attribution that are protected by moral rights) as embedded metadata on every MP3 file; it is embedded pursuant to a precise industry “standard technical measure” that literally everyone in the world uses; then YouTube intentionally strips the CMI metadata away, and replaces it with their own metadata that allows them to “monetize” our content primarily for their own purposes. YouTube takes at least 65% share of the total revenue generated from its ads it places on these stripped files. And in the process, YouTube stiff-arms us from using a standard technical measure (the MP3 standards we all use). That’s immoral, and it’s an abuse of our moral rights –– but it’s also a violation of section 1202 of the DMCA. D. Has Any Judge Been Asked About this Yet? It is pretty clear from recent court decisions that judges are construing these provisions to protect authors of print media who have their CMI stripped from digital files. What has not been clarified yet is whether courts would also extend these print media decisions to protect musicians who have had their CMI metadata stripped from their MP3 works of authorship. But given how hard it is to sue YouTube, there is not likely to be a court decision on this in the immediate future. Until there is, YouTube will continue to strip away metadata from literally billions of files, like a power chipper on steroids, unless lawmakers or the Copyright Office put a spotlight on this abuse. Regarding print media, the New York case of Murphy v. Millennium Books, which is the first federal appellate court decision applying Section 1202’s definition of CMI to metadata, has put a good stake in the ground by distilling down a bunch of trial court decisions and applying section 1202 pretty broadly to protect authors. In the Murphy case, a photographer named Murphy filed a section 1202 lawsuit against the owner of a radio station and two of its disc jockeys. The radio station had scanned a photograph that Murphy took of the disc jockeys and posted the digital image on two websites, without displaying Murphy’s CMI and “attribution” (or print credit) information. The information contained within ID3 and similar metadata tag formats, constitutes CMI protected by section 1202, and musicians have the right to expect that any distribution or copying of that file will include the associated CMI, in a manner where the CMI is fully readable by the user or consumer. The stakes are very high for YouTube, because if the company violates section 1202 with its intentional policy of stripping musicians’ CMI metadata, then it is not entitled to the section 512 “safe harbor,“ upon which YouTube has built its entire empire. YouTube might initially try to point the finger of blame at its army of billions of users, by saying that, “well gosh, that CMI metadata stripping is done by our users, who convert MP3 files to MOV files, using Microsoft Movie Maker, or Apple iMovie; so don’t blame us, blame them.” But YouTube is smarter than that. They know that all of the software programs its users rely on, like iMovie, have very clear limitations and restrictions on what that software can be used for. The license terms for all of those programs state that movies a user makes are for individual, personal use only, and are not for commercial use. But YouTube is accepting billions of uploaded music “videos,” fully well knowing its users did not have the necessary license rights to commercially distribute those works on an international basis. And YouTube knows better than its users that CMI metadata has been stripped by those personal-use programs. In essence, YouTube is inducing its users to upload music files that are already in violation of software licensing terms, and which YouTube knows have had CMI stripped. Those unsuspecting users, who have each opened YouTube channels by entering a legal contract with YouTube, are in essence, the worker-bee army for YouTube that earns YouTube billions of dollars. It’s genius. . . except for the fact that it’s also illegal. Well, YouTube might then take the position that: “Oh, golly gee, maybe we do induce the systematic stripping of that metadata, oops, but we still have the right to hide in the 512 safe harbor, because section 512(c) allows us to do what we need to do in order to store information ‘at the direction of’ our users.” Although that’s what YouTube’s high priced lawyers might claim, the simple truth is that regardless of what the user does or doesn’t do, YouTube, on its own initiative, still strips away that valuable CMI metadata. What YouTube’s own platform does is not done “at the direction of” the user. In fact, as I indicated above, even when a YouTube user carefully takes extra steps to include CMI metadata as a part of the newly created MOV video file to be uploaded by YouTube, when the user then downloads the file from the YouTube servers, almost all non-operational metadata, including CMI, has mysteriously been stripped away by YouTube itself. And to add insult to injury, YouTube’s robots re-encode the video with new metadata to now say “Produced by Google.” You can almost hear the sear of the hot iron, as they brand our works with their own technology, name, and metadata. Their secret re-encoding process doesn't retain (or require inclusion of) any of the standardized uploaded metadata, including our CMI. Our CMI is stripped and discarded forever. YouTube might also state, “Um, well, maybe we are set up to systematically strip any remaining metadata ourselves, but jeepers, we had no idea this would induce, enable, or facilitate infringement.” YouTube loves to state that it has no idea what its users are doing, but the simple truth is that YouTube is painfully aware many millions of its users are infringing copyrights. As just one small example, just put in the YouTube “search” bar the phrases “fair use” and “full CD.” There are literally countless whole albums digitally uploaded by users who state that it is “fair use” (which it obviously isn’t). YouTube knows there is infringement of epic proportions broadly across its platform, and allowing this CMI metadata protected by 1202 to be systematically stripped off of all of this music certainly makes it possible, and easier, for infringement to occur. For instance, part of the metadata contained in the ID3 tag that gets ripped off like a hide off of an animal, is the very valuable and well-established ISRC and ISWC codes. These codes, which themselves are “standard technical measures” subject to internationally recognized ISO standards, are special codes affixed to the MP3 file that allow our recordings to be identified, so we can be paid. Without the ISRC code, services like Spotify would not know who to pay. And an ISWC code is needed to distinguish a particular piece of music from other related music (e.g., arrangements or adaptations, etc.). In essence, the ISWC is itself a kind of unique fingerprint. So when YouTube encourages and induces these codes to be stripped off (or otherwise itself strips off these codes), it is eliminating the ability for anyone accessing the file to know or respect this important information, and it destroys all the identifiers should new requirements and technologies emerge to compensate rights holders. They’re essentially turning all that content on their site into orphan works for any system but their own. But stripping off these ISRC and ISWC codes is only one example of how YouTube clearly enables infringing activities. The Murphy case involving the photograph, says I am right on this point. In the 2015 follow-up decision in that case, the infringer took the position that, “well, even if we did remove CMI, we can’t be found liable if there is no clear proof of an actual infringement that occurred.” But the judge rejected that line of reasoning. In fact, the judge pointed out that the statute uses very “passive” verbs as triggers for liability, including “enable” and “facilitate.” The judge pointed out that liability of a metadata stripper is triggered even if they only “enable” infringement in a general sense, regardless of whether there ever was any actual infringement. And the judge cited good old Webster’s Dictionary, for the definition of “enable,” as meaning “to make possible,” or ”to make easier.” (see page 5 of the 2015 decision) And that’s exactly what YouTube has done here. They’ve systematically stripped off metadata, so that anyone who rips an MP3 of the music from YouTube (and billions do that) can no longer see any of that copyright, ownership and other moral rights CMI, and neither can any technology platform or app that would need that data to recognize and pay creators. Does that “make infringement possible and easier?” We all darn well know it does. If there’s any doubt about whether YouTube systematically enables infringement, here’s a quick direct analogy. Imagine you’re at an airport, and the baggage handling system systematically strips every single luggage tag off of every single suitcase, so the bags on every airport baggage carousel are all spinning around without any labels or tags or “metadata” about where they came from, who they belong to, and who owns what is inside. Does stripping away those identity tags make mix-ups and mistakes and theft “possible and easier?” Well of course it does. It would be a disaster –– almost as big as the disaster YouTube has perpetuated with its own worldwide tag destruction program. Finally, YouTube might posit the following: “well shucks, maybe we do induce the stripping away of that CMI, and maybe we did know that could enable some infringement, but don’t worry: most of the music is still getting “monetized” through our secret contracts with music publishers, where we pay under our special Content ID system, so that contract is basically our “get out of jail free card” for stripping away CMI.” Firstly, that would be pure sophistry, because that would only cover those who have been lured into the Content ID den. Secondly, the judge in Murphy said that’s not relevant. What’s relevant is whether stripping the data made it easier or possible. Period. But thirdly, and most importantly, it’s as if YouTube has superimposed a form of monopoly over all music, so that the only way to “monetize” is to allow our works, our identity, and our rights to be stripped away and rebranded, so they can be re-processed by YouTube’s own secret black box Content ID system. Once in that system, we’re all left with no audit rights, and with YouTube “monetization” based solely on a small share of advertising revenue YouTube generates. Meanwhile, companies trying to make a legitimate go at paying artists even a small amount, can’t compete with this illegal model. And those companies are dropping like flies. Even Spotify has its back up against the wall. In my opinion, YouTube’s behavior is not only a violation of section 1202, but it smells a lot like antitrust! YouTube is directly interfering with our rights to display CMI through “standard technical measures.” The copyright law identifies a “standard technical measure” as “a technical measure used by copyright owners to identify or protect copyrighted works ...“ Obviously, the actual ISO standard for MP3 files, is the epitome of such a technical standard, and so are the universal technical standards like the ID3 metadata tags that are needed for MP3 files. This is exactly what Congress intended by including this provision. So when YouTube denies us the right to avail ourselves of that CMI, and pushes a business model and technology platform that actually strips it off, allowing YouTube to shape and control the replacement metadata on our works to serve their own use, then YouTube should no longer be allowed in the safe harbor. III. Don’t Take My Word For It; Listen to the True Copyright Experts. And to further drive home the point, in her companion presentation to the Copyright Office in April 18, 2016 (minute 56:30 of video) Professor Ginsburg was asked what she felt could be done about this situation. Professor Ginsburg suggests that the Copyright Office could make recommendations regarding, and establish and “endorse” best practices regarding what CMI actually entails. Professor Ginsburg stated she is indeed “sanguine” about the role the Copyright Office can play “both enforceably and morally” to clarify for the artistic community, what constitutes CMI, and what the consequences are of stripping it. In my view, both Professor Ginsburg’s paper and her presentation make excellent recommendations regarding how the moral rights of authors, musicians, and copyright owners can be recognized and protected by the Copyright Office confirming in its Report the importance of these principles. 1. Standard technical measures, as envisioned in section 512(i), include the organization and display of CMI always contained within audio or video file metadata, consistent with international ISO and/or de facto technical standards everyone respects and accepts. 2. Companies that know CMI is stripped from files on their platforms as those files are created and uploaded for international distribution (thus enabling, and thereby making it “possible and easier” for its users to infringe a copyright) are violating the moral rights of the authors, and are in violation of section 1202 of the DMCA. 3. Companies who violate section 1202 and/or 512(i) of the DMCA are not entitled to the benefits of the safe harbor. We all know that in life “there’s no free lunch.” But companies like YouTube have been serving up a veritable buffet of “free” music, and all the while, they thumb their noses at content creators, claiming to be protected by the safe harbor in the DMCA. However, based on the foregoing, it is clear to me that YouTube is in gross violation of some of the most important conditions of being protected by that safe harbor. Musicians like me are witnessing their moral rights getting trampled, and desperately need the Copyright Office to shine a light on these unethical practices, so that companies like YouTube don’t continue, day in and day out, to eat our lunch. Thank you for the opportunity to submit these comments regarding moral rights of attribution and integrity.